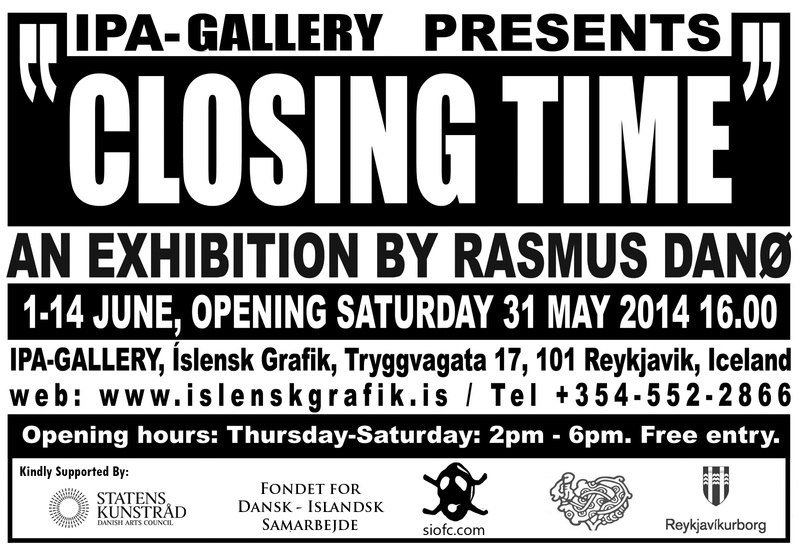 The exhibition Closing Time is a direct extension of Danø’s latest solo show Open Barrier at Norwegian Printmakers Gallery in Oslo, Norway. 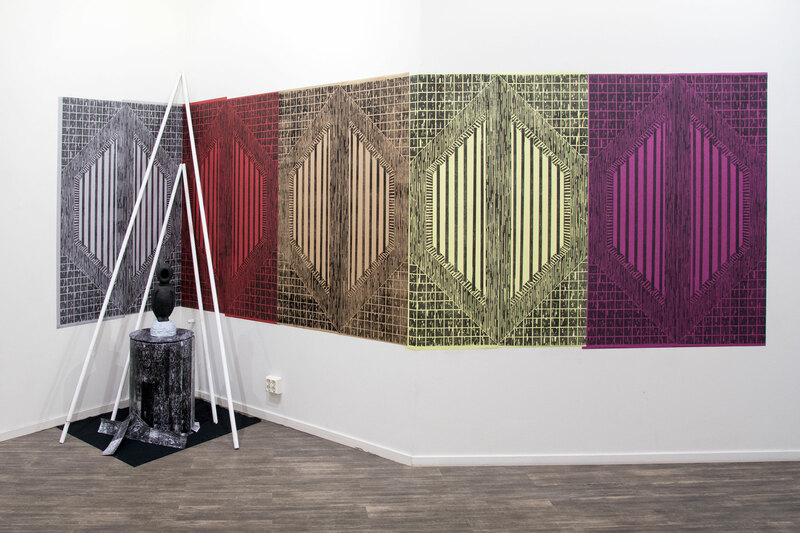 In the show Danø mainly points on the western culture’s double standard: We preach freedom and openness at the same time as the individual increasingly gets subjected to surveillance and attacks on its personal freedom. This he illuminates through visual cues and textual statements all with an open structure. One statement or picture grabs the next and creates a flow of analog information. The wiever becomes, through his or hers own personal experiences, hereby an pawn in a bigger game. As a main motif Danø often use the Landscape to describe a sence of a place where everythingbegins or ends, and use it as metaphor and/or a symbol that binds the different expressions together. Thereby the Landscape has a double feature of his works, both as a specific landscape and as a reference to culture, mind and language.